In this post, I'll show you the 10 best ways to make money online for kids, teens and bloggers. 'Make Money Online' is perhaps the most searched for phrase on Internet, and that shows how many people seek such opportunities and want to earn extra cash. There are thousands of sites out there promising to get you money, but hardly some which really help you do that. Starting a blog or a website is perhaps the best time investment. I have already discussed this topic in my previous posts and emphasized a lot on using blogger platform if you're a newbie. Once you do, start posting quality articles and work on bringing visitors to your blog. You may have started a blog with the sole intention of sharing information or just for fun. But after getting enough traffic to your website, you may want to make some money from it, that's when PPC advertising comes handy. Display Pay-Per-Click ads on your blog, and when a visitor clicks on one of the ads, you get paid for it. You just have to sign up for a publisher account in any PPC service of your choice. Adsense is one of the most popular services out there run by Google, though not the only option. There are hundreds of other ad networks to your rescue, choose the one that suits your needs. Writing paid reviews is the most sought after ways to make money. You can get anywhere from $5-$50 per 100-500 words of content. This is perhaps the fastest way to earn money from your website and slightly better than PPC if you want fast cash. There are hundreds of paid review sites like - Sponsored Reviews and SocialSpark. You don't have to worry about finding advertisers here, they do all the hard work for you. 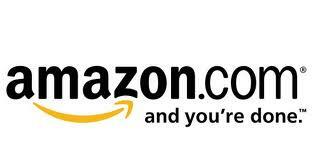 Sign up as an affiliate for Amazon or Clickbooth. Once you're approved, you can sign in to your affiliate account, generate an affiliate link of any product and display that link on your blog. So when a reader clicks on your affiliate link and purchases that product from the affiliate site (in our case - Amazon.com), you earn commission on that sale. The commissions range from 5% to 40% depending on the type of product. For instance, if you display an affiliate link of DSLR camera (worth $2000), and if you get a lead. Don't be shocked if you earn $500 just from one sale. If you're good at too many things at a time, then why not use the Internet to sell bits of your talent for a fixed price of $5? Fiverr.com will help you post small tasks (Gigs) that you're ready to take up. And when someone has a suitable gig , they will hire you. Finish the gig and get paid. It may seem like a freelancing site, but trust me its not. Try it! Are you a business minded person or always want to start a business of your own - the entrepreneur type? Than why not become a Web Re-seller. Sign up for a reseller account in any web hosting company. Just keep managing the domains by selling and hosting services. This one needs a little investment, but once you know how to deal with it, money will pour into your pockets at the click of a button. Of course, you have to know the basics of web hosting and stuff before starting, or you will fail to set things up and eventually end up as a failure. I know this sounds crazy, but there are people out there who want instant solution to their problems. For instance - if someone has an issue with his laptop and doesn't know the solution, and if he could find someone who could offer a solution for $5 then why would he call an engineer to get it fixed and pay $50? Seems logical right? Then why don't you give a shot. A good website for this is Just Answer. If you have a collection of some awesome images, you can sell them to various microstock agencies and build a passive revenue stream for a lifetime. If you don't have any photos, you can click some. You just need a camera and a little bit of creativity to click those perfect moments. Popular microstock agencies to sell your images - Shutterstock, Fotolia, Dreamstime, 123rf and Bigstockphoto. 99designs is a design oriented website, where people post design contests. Designers have to submit their designs as per the guidelines. Win the contest and return with a bag full of money. After winning at least one contest, you become eligible to sell your own designs priced at $50 each or higher depending on the design type. Many bloggers start a blog just to sell it. And why not if you can make good money from it. Just start a blog, add some quality content, get traffic and auction it on sites like Flippa.com. You can easily earn anywhere from $1000 to $100,000 by selling your website depending on the pagerank and current traffic. Interested in selling your blog? Read this post. Have you ever thought of making money from your tweets? Well, Sponsored tweets helps you connect with thousands of advertisers. Just sign up with ST, associate your Twitter account, and wait for offers. Once you get any offer - post them on your twitter profile. You're free to charge any price per sponsored tweet. Many power twitter users charge over $1000 per tweet. nice share.. i was looking for a list and i found it. Real help for me. Thank you and I found your site so useful and informative. Keep rocking.